Beauty DIY: A hair mask that will make your strands feel like spun silk. Guaranteed. Home / Hair / Beauty DIY: A hair mask that will make your strands feel like spun silk. Guaranteed. There are few things I love more than the scent of jasmine flowers. It’s soft and sensuous in equal measures… heady and soothing, intoxicating and purifying, soulful and exotic… so many contradictions, all bundled into tiny white buds that have the power to evoke cooling summer breezes and languorous, chilled out afternoons with a single whiff. In fact, my first blog was called Sandalwood & Jasmine, and I am a sucker for any fragrance with these two ingredients. 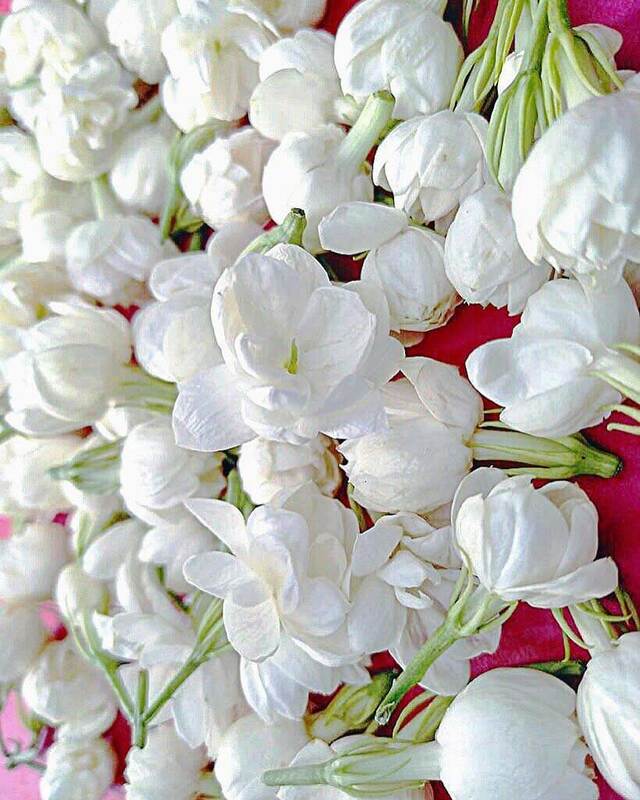 Which has a bonus effect on many, many days, since science has proved that the aroma of jasmine flowers is as calming as Valium. Seriously. So, imagine my happiness at stumbling upon this jasmine-based hair mask while visiting Grasse – the jasmine capital of France, where legendary perfumes like Chanel’s No. 5 and Jean Patou’s Joy get their notes. My hair has never looked so soft and… so… swishy, I may say… and the beautiful scent lingers long after the mask is washed away. No wonder this hair mask is a cult favourite amidst those chic French women, who would rather take care of the basics – like the health of their hair – than resort to measures such as complicated blow dries and chemical-laden styling products. The natural oils in this hair mask will relax and purify the scalp, along with stimulating blood circulation and encouraging hair growth. They are also great for nourishing dry and frizzy strands, turning them smooth, sleek, and glossy with regular use. PS: You can enjoy more French beauty recipes in The Paris Bath & Beauty Book, which is a distillation of everything I’ve learned in this glorious country! Do you love jasmine as much as I do?